Who could forget the dramatic footage of surfing star, Mick Fanning’s close encounter with a shark at Jeffreys Bay last July? But Fanning is not the only Australian sporting champion to survive a shark attack. 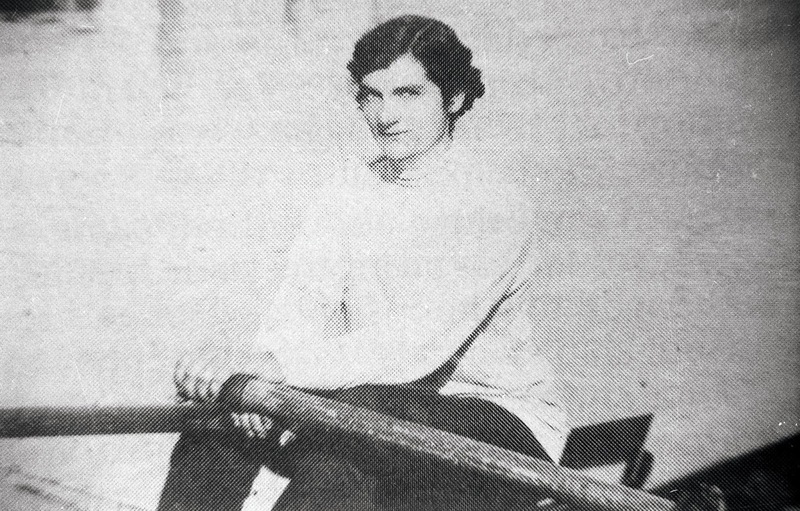 Emmie Pickering (1887-1970) of Oatley was from a large family of talented rowers. In March 1912, spectator boats and onlookers crowded the Parramatta River and cheered Emmie on to a thrilling victory over six-time winner, Gertie Lewis, during the Australian Ladies Sculling Championships. But this was not Emmie’s most exciting race. Emmie claimed the title of Australian ladies sculling champion for more than 20 years. Tragically, Stan was killed in 1917 whilst fighting on the Western Front. His name is inscribed on the war memorial at Oatley.